I have tried to download Tiled using itch client and i'm unable to open it after download. What am I doing wrong please? [2019-03-01 @ 09:36:16.552] [launch] looking for manifest @ "C:\Users\MyUserName\AppData\Roaming\itch\apps\Tiled Map Editor\.itch.toml"
[2019-03-01 @ 09:36:16.554] [launch] No manifest found (no '.itch.toml' file in top-level directory). Proceeding with heuristics. 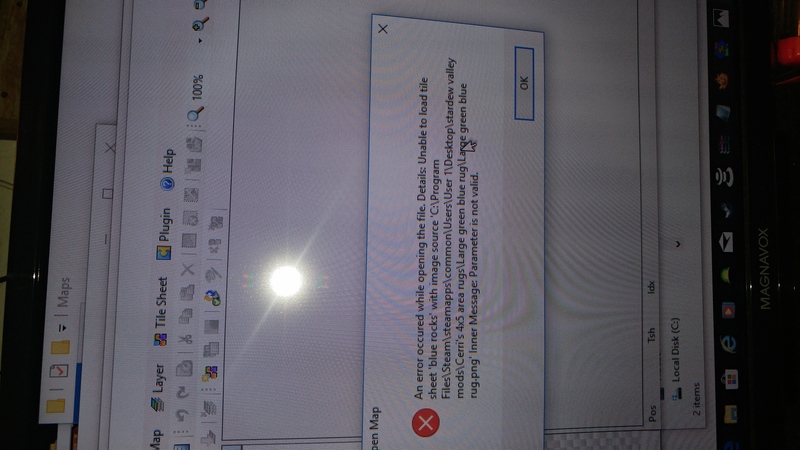 [2019-03-01 @ 09:36:16.566] [launch/native] cave location: "appdata/Tiled Map Editor"
[2019-03-01 @ 09:36:16.915] [launch/native] cave location: "appdata/Tiled Map Editor"
Thanks for your reply and i apologize for the long message. I simply copy the whole content of the log file without much thinking. I will do as you say and let you know how it goes. Maybe my itch.io installation got corrupted at some point. I hope that cleaning everything and installing it back will fix the issue. EDIT: everything works fine now. Thank you for pointing me on the right direction. It crashes if I use it on windows 7 with classic theme. One thing it doesn't do is 45 degree isometric, so for those interested in that the Wograld map editor does it but I really have too much to do to improve that as well to make it more efficient. What advantages does this have over Unity's tilemap system? Pz improvise or give more tutorials about terrain. Its too hard to understand and not working mostly. Simply one of the finest tools for making tiled maps. Thank you for your work on this. is Tiled GMS2 supported? And what about Construct 2? 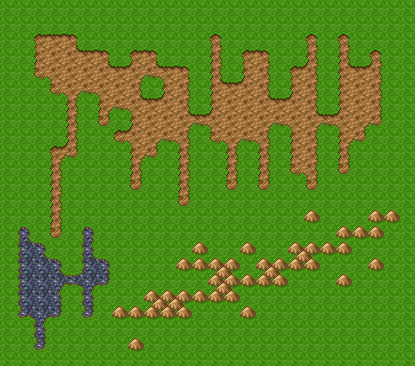 Why doesn't the Terrains system just work similarly to RPGMaker's autotiles? It's far superior and gives much more control. I've already gone to the trouble of making my tilesets compatible with that method. I really like Tiled, but the issue is that it lacks options. The way it's set up, I have to insert tiles 3x3 at a time, or 2x2 at a time, or if I want to have a 1 tile wide river, I have to do that manually, because Tiled wouldn't know what to do if I tried. However, with RPGMaker, it absolutely is equipped to handle it. My suggestion is to add a brush style mechanic so users can choose to have a 1 tile wide option as well as the 2x2 and the 3x3. Is there a wiki somewhere? is a mobile version planned? This is a great Editor. The feature to rotate a group of objects is a bit hidden though. I needed some tome to find it. Maybe it could be an extra Tool that would be selectable in the toolbar or it would be visible in a inspector like there is one for every individual tile, but then for a group. I'm working on maps for my wife's D&D campaign, and the houses I've sketched have diagonal walls, so when building the actual town, I'm having trouble finding tilesets with diagonal buildings/walls. Eventually I'll make my own tilesets, but I was hoping to get something quickly thrown together so we could get the adventure tested. Nie znaleziono punktu wejścia procedury ?qTriangulate@@YA?AUQTriangleSet@@AEBVQVectorPath@@AEBVQTransform@@N@Z w bibliotece C:\Program Files\Tiled\Qt5OpenGL.dll. I can't install it. When i try to open the .msi file windows smart scan prevents it from starting. Is there any way to install it if this happens? Fantastic tool. I have been using this for my D&D game. It's really useful for making and customizing maps easily. BTW, @dev, do you have any plans to build the Qt version for Emscripten and make Tiled run as Web App with Google Drive/OneDrive export/import functionality? This will be nice? If no, I MAY try to build it myself for that case. it wont download help! wenn i select where is going to be download it says tiled must be instaled on a local hard drive BUT is a local hard drive! I'm getting this: "Referenced directory 'C:/Users/leepa/AppData/Local/Temp/Temp10_tiled-master.zip/tiled-master/dist/archive.qbs' does not contain a qbs file." How do I fix it? After I clicked "No thanks, take me to the downloads" it doesn't let me download anything, it just reloads the page. Is there any other way to download this? Can I use this program to make maps of cities? Im looking for something with a short learning curve that can help me make maps of fantasy cities. Is this appropriate? thanks for the answer! Its not the feel I was looking for though. Is this compatible with GameMaker Studio 2? I don't quite understand your issue, since the "move layer to front" action modifies the map and not a tilesheet. Also, neither Tiled nor tIDE use the yaml files, so I don't think the problem could be there. Could you report the issue and the steps to reproduce it at https://github.com/bjorn/tiled/issues? It's better to discuss it there. The tileset editor only seems to support painting terrain types in each of the four corners of a tile. If that is all it can do, it will be unable to process the majority of my tiles. I have T junctions, crossroads, and so on. Am I missing something? To be useful with this tileset, I would need 9 points to paint on each tile. I hope I do not have to write my own tool. I was really hoping this would solve the issue! The existing Terrain Brush is only suitable for corner-based terrain transitions. In the upcoming Tiled 1.1, the added Wang Brush may be of use in your case, but it still has some way to go before it could conveniently edit a combination of both corner-based transitions and road connections. Please try it and provide feedback on what you'd expect from the tool (best on the forum or on GitHub), so we can continue to improve it. Ah, sorry I've already come pretty far in writing my own editor. It supports the 9 cells per tile with full zoom, pan, variable materials/terrain. I just need to add the UI elements for add/remove material and the XML persistence code, and it will cover the same immediate needs I had of Tiled, with the benefit of being very easy for me to evolve alongside my game. It also gives me the opportunity to throw in game-specific metadata and other features, which will be important for procedural generation. Really, I should have gone this way from the start. I appreciate the response, and I think it is great you are providing a tool like this for people who, perhaps, cannot make one or would prefer not to spend the time doing so. And out of those I demo'd, yours was--by far--the most polished and pleasing. Cheers! Sure, sometimes it's better to roll your own solution (or sometimes people fork Tiled and add whatever they need to it, since it's free software after all). Your use-case is still something I'd like to support in Tiled as well.